It's kind of grown on me, you know? I hear there's medicine for that. I didn't care for it when I first saw it, but a year or two ago, I ended up watching every B5 thing in subjective order, with the movies all plugged in to their correct spaces in the timeline, then Crusade, and ending with "Sleeping in Light." It came after "River of Souls" (Which I didn't like) and before "A Call to Arms" (Which I really did like). Perhaps? PERHAPS?!?!?!!!! Out of 10, I'd rate B5 a 10, Crusade a 9, Rangers a 2, and Lost Tales a 3.5 (first story a 2, second story a 5). My mileage varies, A LOT. The high watermark re. B5 movies was set with "In the Beginning" and "A Call to Arms." The Legend of the Rangers pilot was a huge step down from those. "Voices in the Dark" (terribly hampered by budget) was a slight recovery from the low ebb that was the Legend of the Rangers pilot. IMHO, the Legend of the Rangers pilot was littered with problems and mistakes from beginning to end, and there were only a few bright spots, mostly David/Dulann conversations, Dulann, Na'Feel and Firell. Most of the time when Sarah is onscreen, especially if talking, I find myself cringing. Were it not for the lunkhead suits at The Sci-Fi Channel and Warner Brothers being the absolute perfect form of lunkheads, we'd have gotten a continuation of Crusade instead of this Legend of the Rangers monstrosity. Last edited by KoshN; September 4th 10 at 03:36. "The Gathering" is usually rated fairly low among the B5 movies, yet nobody has to twist my arm to get me to rewatch it, either the original cut or the special edition. However, to get me to rewatch the Rangers pilot all the way through, at normal playing speed (no FF-ing), and without leaving the room or wearing earplugs or "humming real loud" during Sarah's lines (to use Sheridan's words to G'Kar in "The Coming of Shadows"), I'd pretty much have to be at gunpoint/knifepoint/swordpoint, and then I'd have to watch something good immediately afterward, to wash those memories out of my head a bit*. The only other thing that comes close to that level of awfulness, IMHO, is "Over Here" from B5:TLT. * Same thing I had to do after Tom Cruise's "War of the Worlds" that had the constantly screaming Dakota Fanning. Gah!!! I watched George Pal's version, and then promptly sold the Cruise/Fanning version. Understood, but, I still wonder, if Legend of the Rangers had gone to series, and a good series developed to rival B5, would we be able to have a better impression of the Pilot? I suspect we would. There are definitely flaws in the Rangers Pilot, but, I personally do enjoy some things about it, and enjoy wondering what could have been and where the series might have gone. I can see a lot of potential in LotRangers; had it been able to build as a series, I think it would have been good. Most shows when they very first start are without bumps in the road in terms of quality of the story and characters, but with more episodes to back up the initial few, those bumps don't seem so glaring the way they do when something's cut short like LotRangers was. Maybe, but I think that the Rangers pilot would have had a steeper path back toward redemption than even the original version of "The Gathering." I'd MUCH rather that Warner Brothers and The Sci-Fi Channel had found a way to restart Crusade, which was orders of magnitude better than the Rangers story that we got in the Rangers pilot. 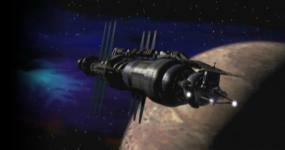 Crusade picked up from "A Call to Arms" and had a firm footing in and link to the Babylon 5 universe. The Rangers pilot, OTOH, had the Rangers leadership acting very strangely, and so it didn't feel right, compared to all we'd seen of the Rangers in "Babylon 5" and "Crusade." Sure, the Rangers had been on suicide missions before (e.g. Ericsson in S4E5 "The Long Night" planting Corianna 6 info. with the Shadows; the Ranger in S5E3 "The Paragon of Animals" who brought word back about the persecution of the Enfili, which Lyta got from him shortly before he died in Medlab, etc. ), but those missions were always undertaken for a good reason, to save lives, not throw lives away. I think you meant to put a "not" here. ....without bumps in the road in terms of quality of the story and characters, but with more episodes to back up the initial few, those bumps don't seem so glaring the way they do when something's cut short like LotRangers was. Yeah, there should be a "not" there. Most shows are not without bumps in the road.... Thanks for clearing up my error. Spinoff Pilots seem to be an awfully risky place to do stuff that's clearly out of character for the parent show. e.g. the Ranger Council (which could easily be mistaken for the Grey Council, the only Minbari council we'd ever seen up to that point), and their "We do not retreat for ANY reason." insanity/stupidity. To fans of the parent show, it looks like the writer has lost his mind, or that it was actually written by somebody who had no clue about the parent show. Then, if the pilot doesn't get good enough ratings for the TV series to be picked up (which it likely won't if the pilot looked ridiculous, like B5:LotR), the writer has no chance to fix things, no second chance, and the pilot looks like crap for the rest of time. A 13 episode start to a spinoff, like Crusade got, is a far better way to go. If only Cousin It from Atlanta hadn't reared his ugly, rotten, spiteful head!!!!!!!! Rangers didn't get low ratings becaused it looked rediculous. In fact, as the broadcast went on, it picked up more viewers each quarter-hour, if I remember correctly. The problem was the huge audience that of that football game that kept viewers away from Rangers. The west coast broadcast of Rangers had very nice ratings, but since the east coast broadcast's ratings were low, that's all that seemed to matter. I'm not disputing that Rangers had some problems. As you mentioned, having the Rangers' council look too much like the Grey Council was confusing, even to long time fans. Having Minbar look so different than every single other time we had seen it wasn't good either. And while I can appreciate what was trying to be done to set up David, not to mention several of his crew, as not quite fitting in in the Rangers, it was done too clunkily. But I still found enough of the thing to be intriguing to make me want to see more. There were several characters I liked, the Narn engineer and the Minbari healer in particular. The biggest problem for any sequel to overcome – movie, tv show or comic – is the expectations of the viewer. There is none, or very little, for the original but a follow-up has an immense uphill struggle to prove itself in it’s own terms – a child in the shadow of a famous parent..
Saying that however, LoTR was pretty bad in places, and it can’t be put down to lack of cash like the Lost Tales. Someone once said, and I paraphrase a bit here, you can’t cut the head off a production team and expect him to function the same way without the body. B5 worked for a lot of reasons. LoTR looked like tv sci-fi by the numbers. I also believed it had potential (most shows do), but I have my doubts on whether it would/could have ever been reached.